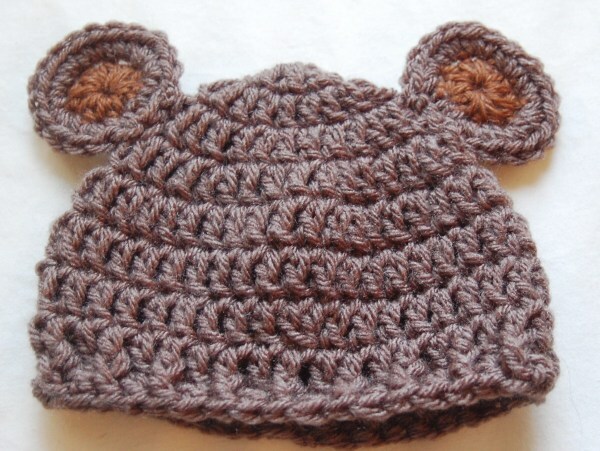 Free Crochet & Knit Patterns – Hats, Accessories, Baby Items, and More! 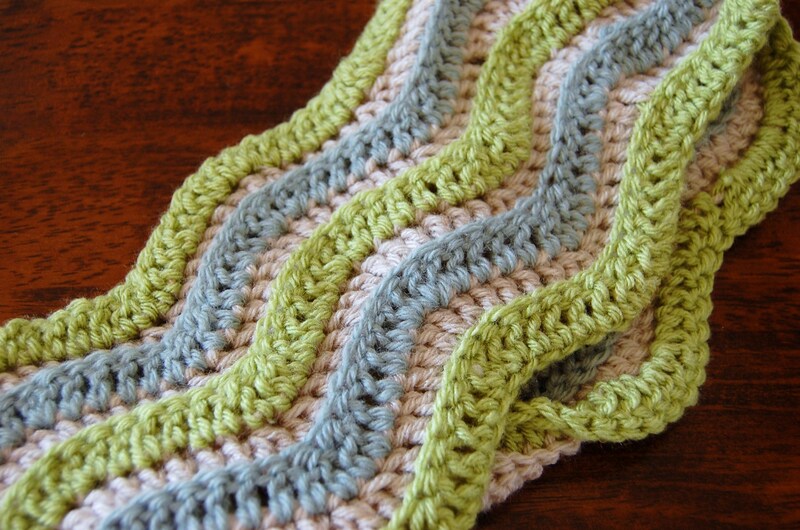 Keeping good on my promise from JJCrochet’s Facebook page to share the pattern, I pulled out my notes and here you have it: a free crochet pattern for a chevron cowl. 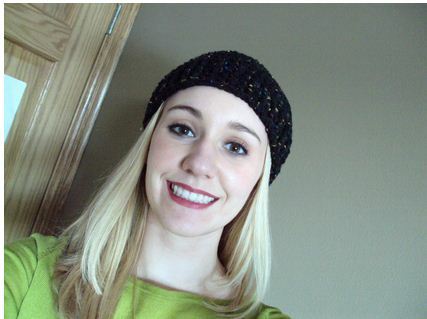 I’ve been obsessed with chevron/ zig-zag prints and made a cute chevron hat last night. I’m still working out the kinks of the pattern, but will hopefully have that finished soon. 6 inches wide; 31 inches around. 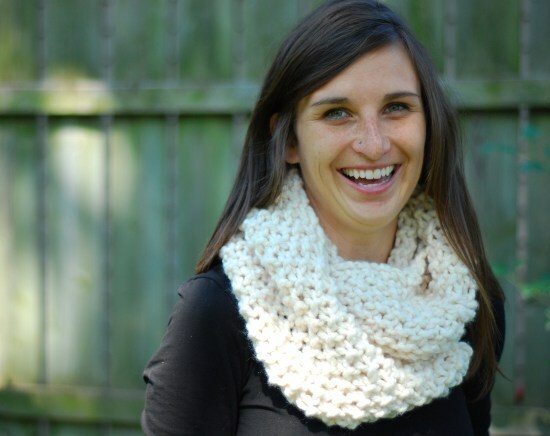 To make cowl larger or smaller, work in multiples of 12. 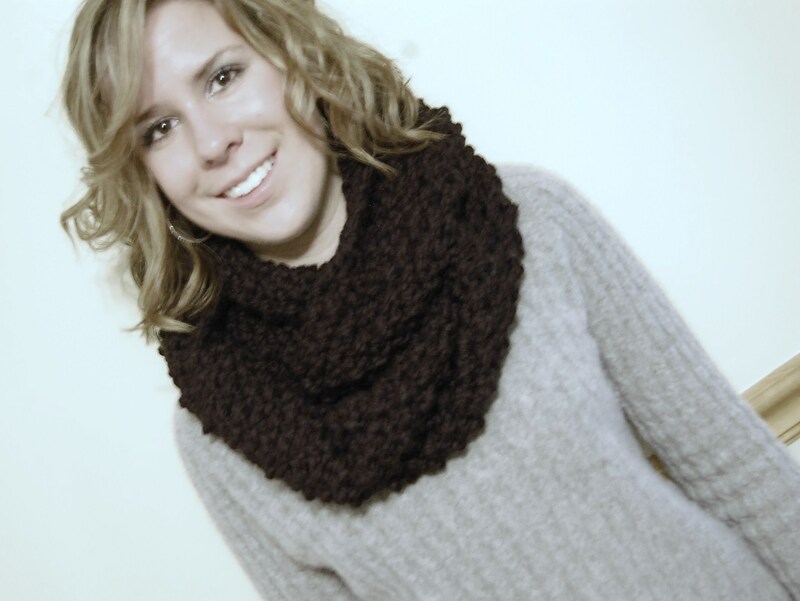 Cowl is worked in flat, then sewn together using the infinity loop method. Chain 84 +2 (Extra chain 2 counts as first Dc). Repeat Row 2 seven more times until you have a total of 9 rows. 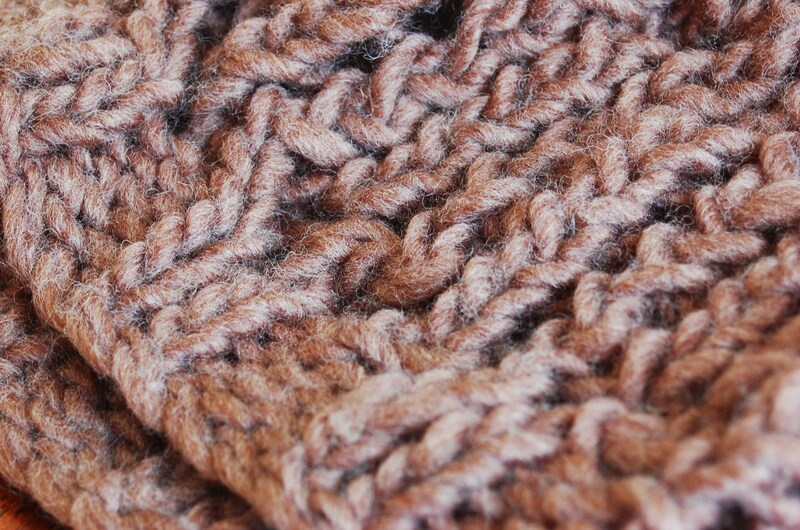 Using the infinity loop method, twist ends of cowl before sewing together. 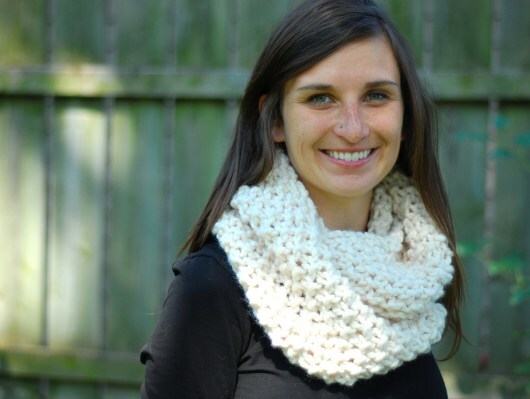 Using this method will put a half-twist in your cowl and allow it to lie flat. Also, this was very unintentional, but I am about to leave for a long weekend and took a day off of work soooo this is a throw back to “Free Pattern Friday“. 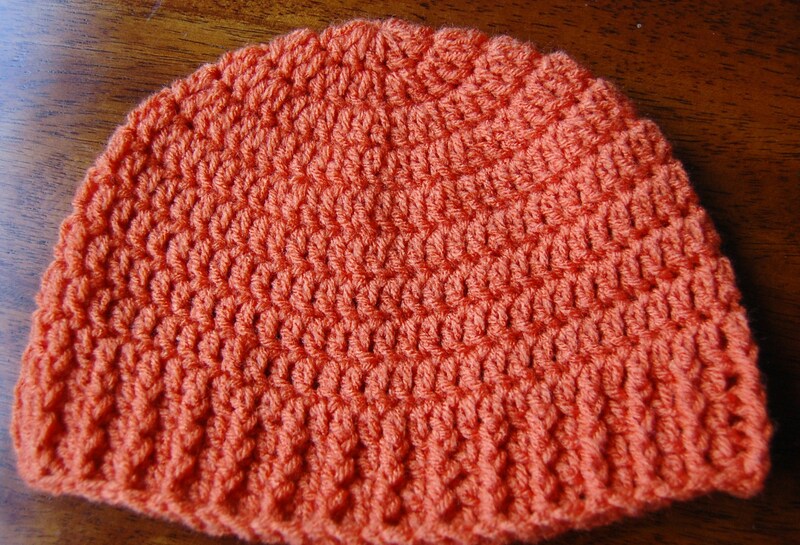 (For those who weren’t around last summer, every Friday, I would post–you guessed it–a free pattern.) Coming full circle – love it. Make sure to share it if you like it! 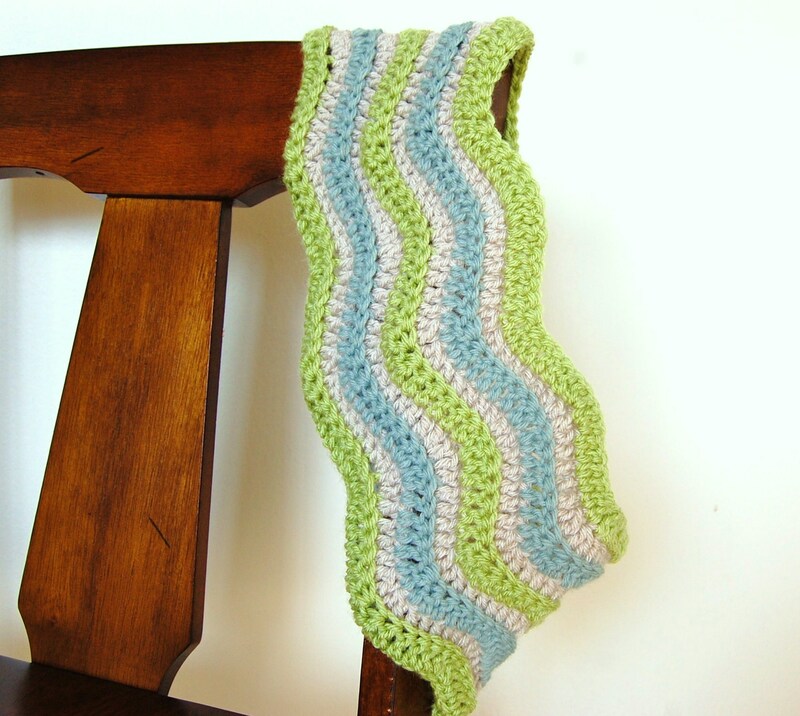 Before I dive right into the pattern, you may have noticed JJCrochet and this blog have gotten a facelift! No more blue and black borders – the pink and cream/ tan/ gray theme is in charge of the show. I was getting tired of the old layout and wanted a site that was better from a design perspective, now that I spend a good majority of my time (real job) online. I never was much of a pink girl, but it’ll do. Okay – so onto the pattern. 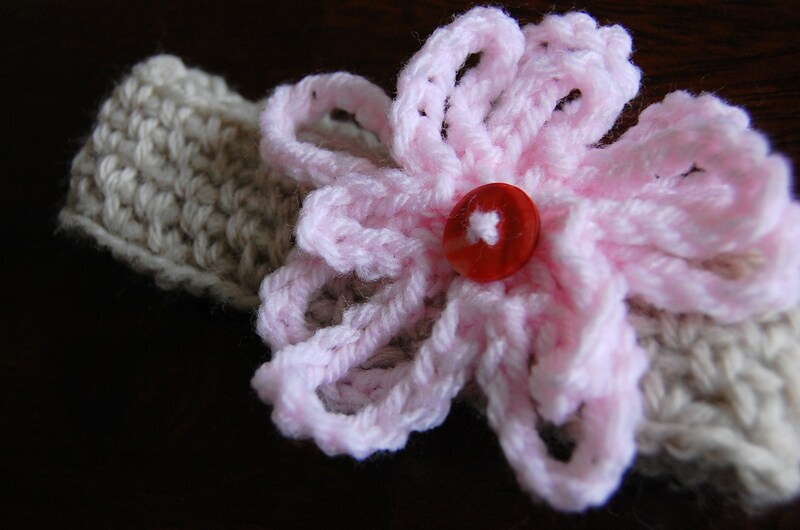 I was crocheting a hat yesterday when I wanted to add a flower, but not a typical flower. 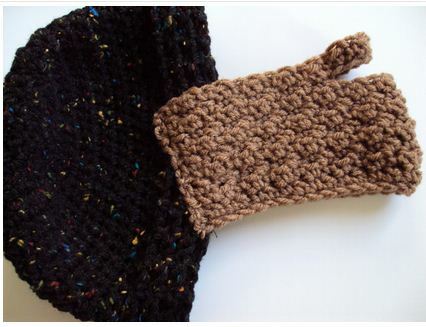 I’ve made designs in the past and figured it was time I chronicled the unique style of crocheting ONTO of the stitches. Yes, you heard correctly – this flower is worked all in one piece. 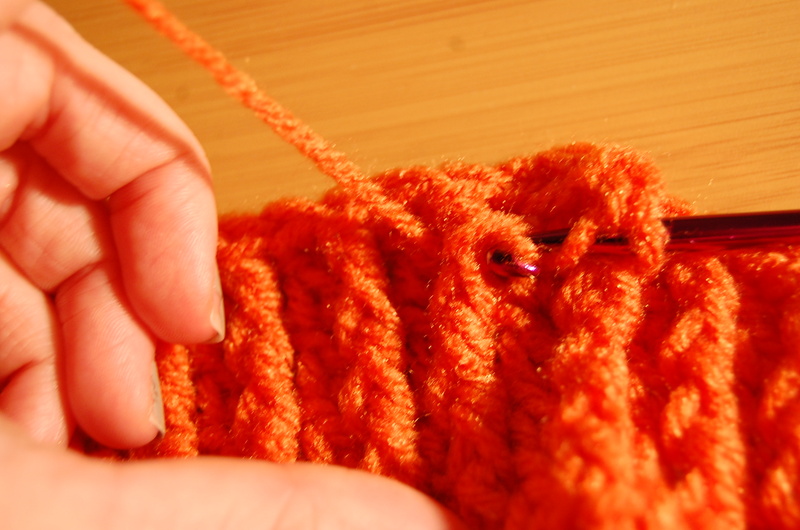 The third round that gives the raised, 3-D circle in the center is made by working on the sides of the stitches of Round 1. 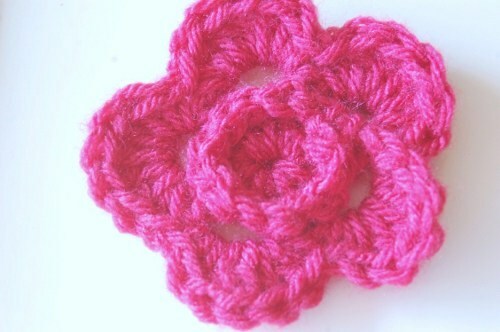 So here’s the pattern for the flower. 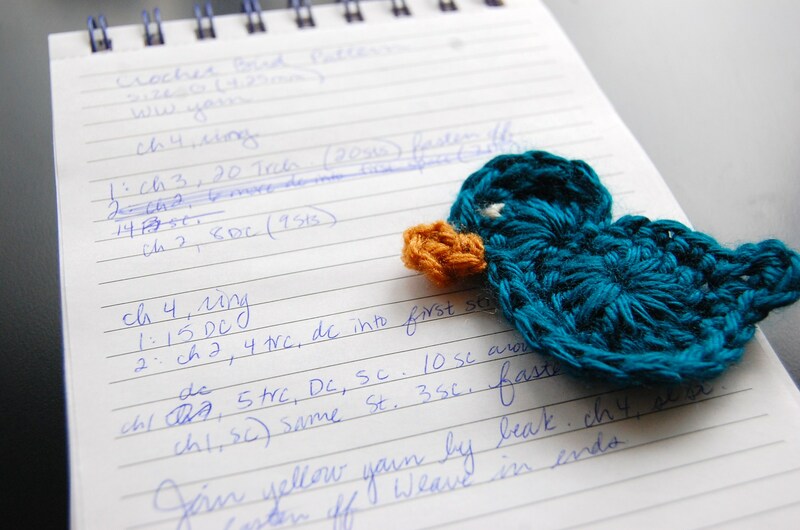 Either follow it the whole way through if you’re an adventurous, advanced crocheter, or stop after Round 2. Whichever way you choose to go, you’ll still end up with a cute little flower. Chain 3. Join with sl st to first chain to form ring. Round 1: Ch 2 (counts as first dc), dc into loop. *Ch 3, 2 dc into loop*. Repeat around until you have 10 dc and five, ch-3 loops. Join with sl st into first ch-3 loop of round. Round 2: Ch 1 (counts as first sc). Work 5 dc, 1 sc into ch-3 loop. (Skip 2 dc from previous round), Work *1 sc, 5 dc, 1 sc into ch-3 loop*. Repeat around to make 5 patterns. Join with sl st to first sc. 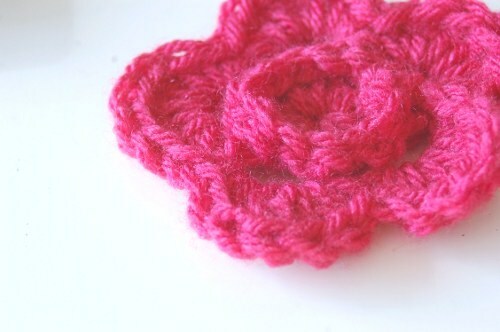 Congrats, you’ve made a flower! If you’d like to work the ridge at the center of the flower, continue on. If not, Fasten Off. Slip stitch into top of first dc from Round 1. 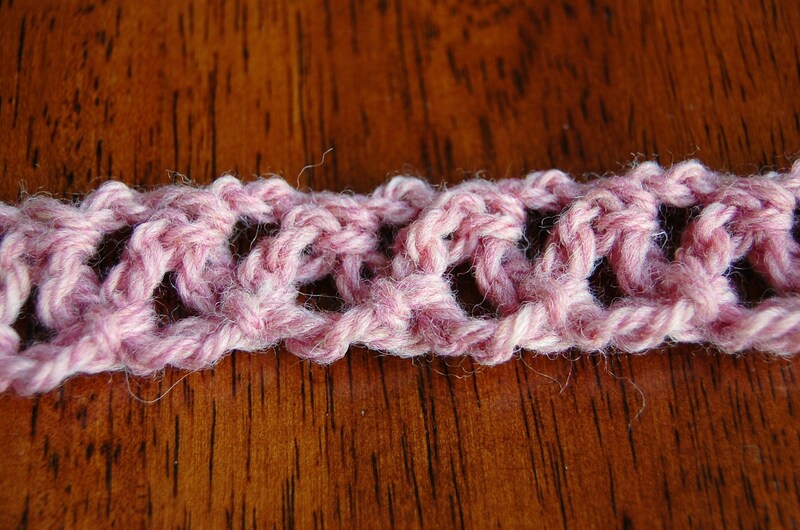 Work 1 sc into side of each double crochet stitch from Round 1 (10 sc). Join with sl st to first sc. Chain 1(optional). Fasten off. If you need a visual for how to work the ridge, check out the video – I promise it’ll help. 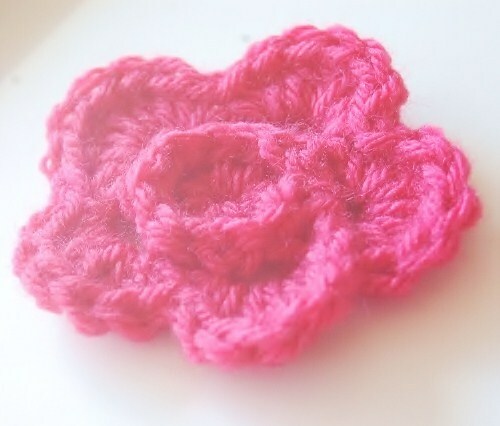 So there’s the flower – did you like this pattern? Did you try the ridge? I’d love to hear if you did. Post below in the comments and let me know how it went for you. 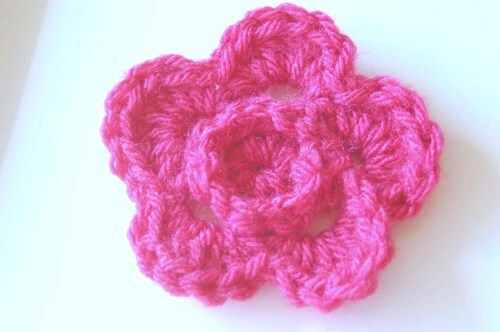 I received a lovely comment today from “my biggest fan, Stephanie” and was so inspired, I pulled out the hooks and made a crochet pattern. Not only did I make a new pattern, but I was feeling so motivated, I also created a video showing how to make the headband. Please forgive my post-workday hair. The pattern in itself is not complicated, but it can be a bit confusing to understand. Also, I believe I say “interwined” in the video which I am almost 100% positive is not a word in the English language. 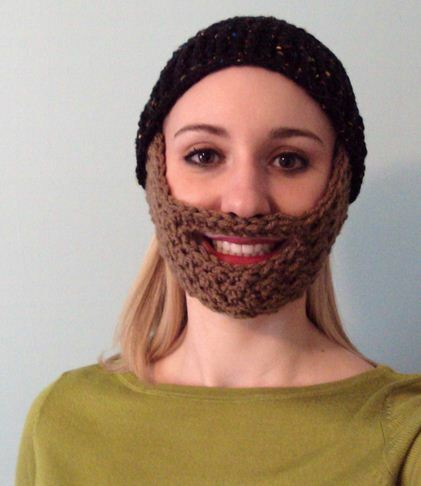 Oh well, ha, I can’t be bothered with silly things like pronunciation while I’m crocheting! 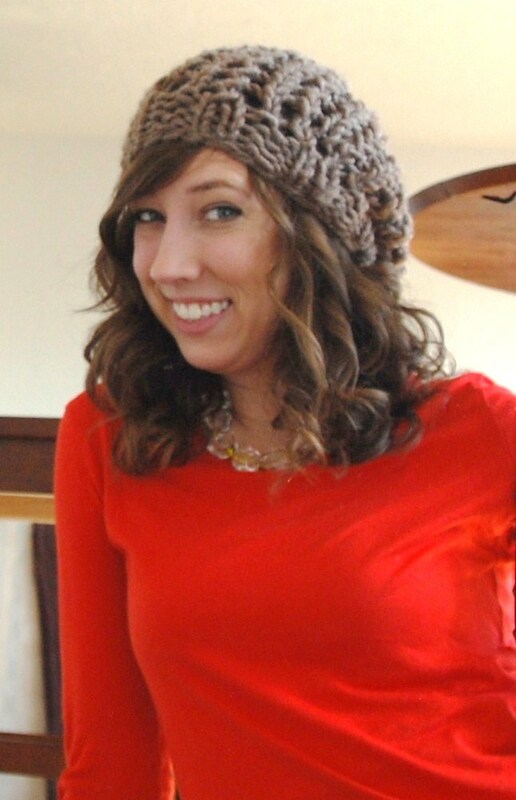 This headband creates a really unique looking pattern without any effort. 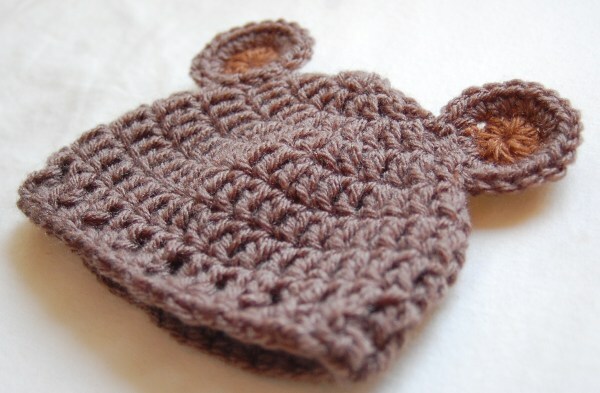 If you can make a chain, know how to slip stitch, and can count, you can crochet this little guy. I grabbed a skein of yarn, found my crochet hooks, and 5 minutes later this little guy was born. Enjoy! Repeat from * to * around until you have 28 circles. 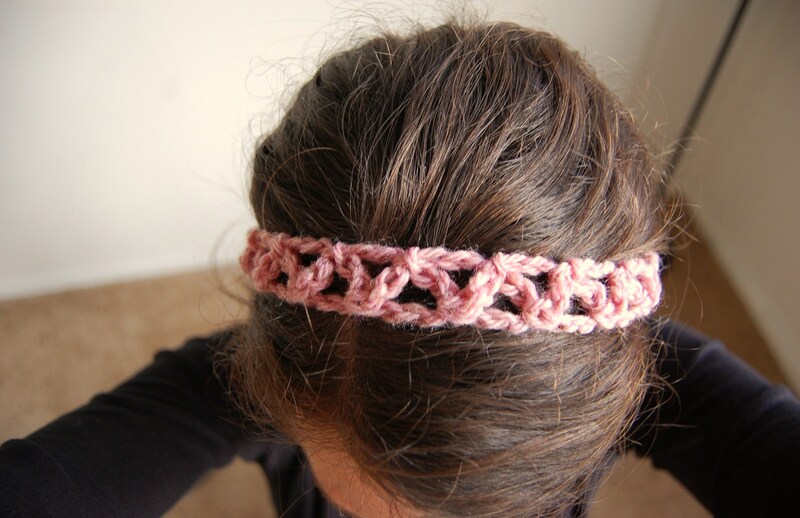 Chain 25 (creates second headband tie). 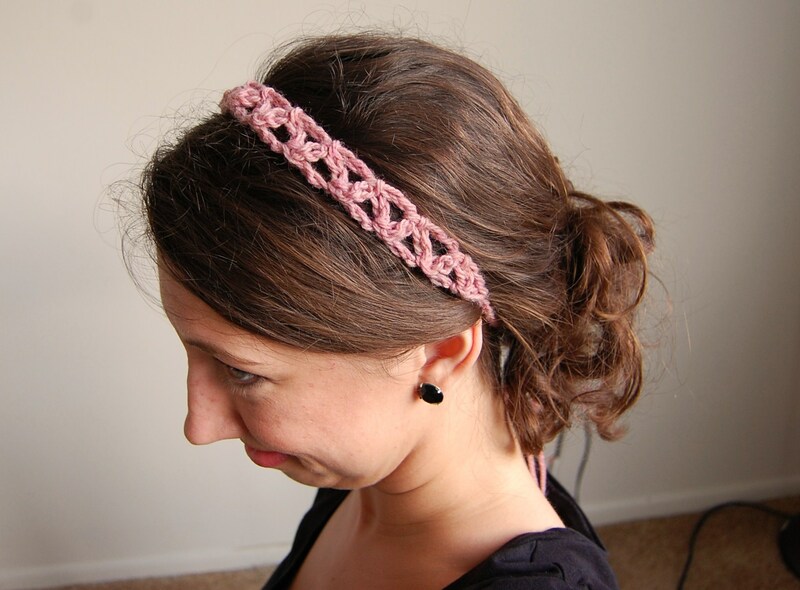 Let me know if these instructions and video helped and if you could actually crochet the headband yourself. Sometimes, I forget that even though things make sense to me, it doesn’t do any good unless others can understand them, too. 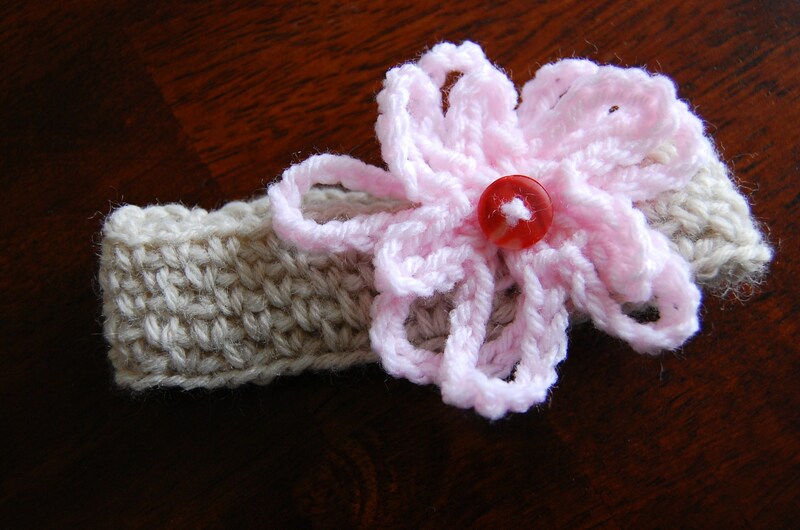 Let me know if you try your hand at making this headband. 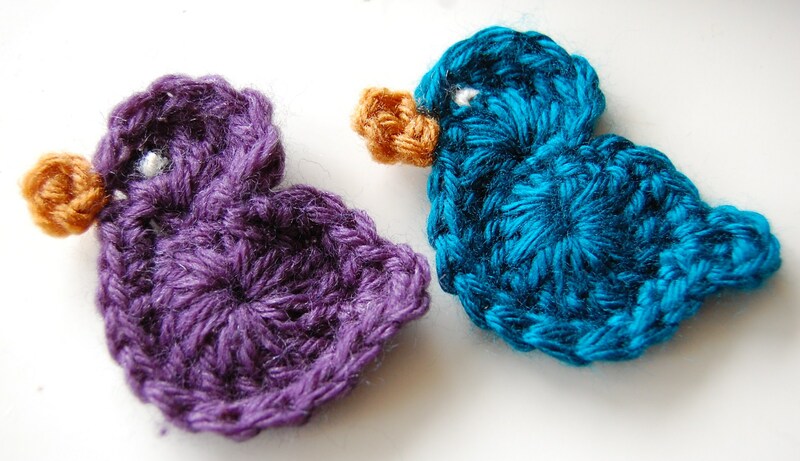 The day continues with the third project of “my big crochet idea“: a free crochet pattern for birds! Inspired by Kathleen’s post: “I’d love to see these cute little birds!! http://pinterest.com/pin/44613852528533507/” I got to work as soon as I saw the picture. 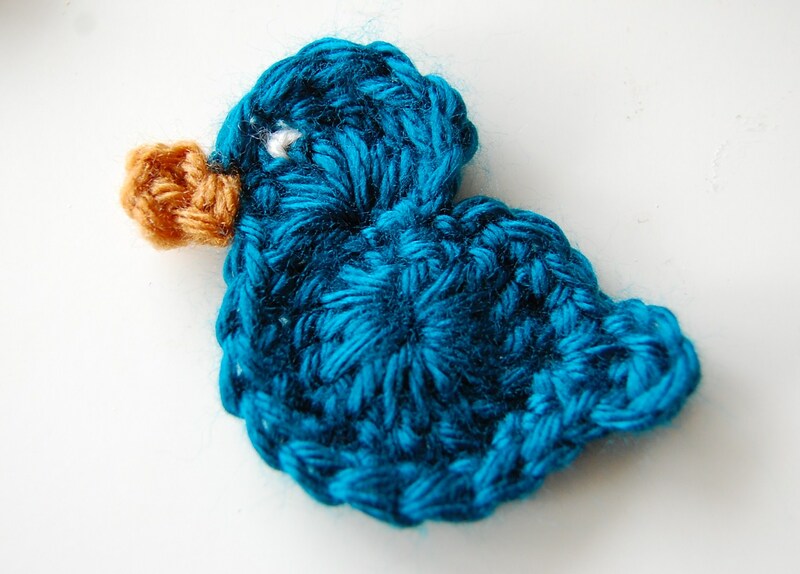 After three tries, I finally crocheted what I deemed to be a good bird shape. How cute are they?! So adorable. 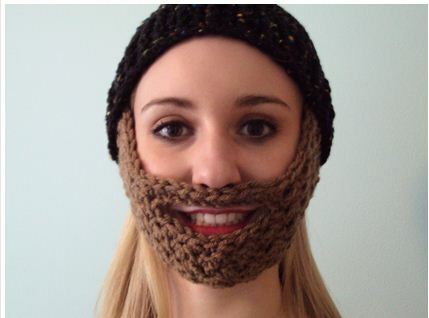 They take only minutes to make and a few yards of yarn. Round 2: Ch 1 (counts as first sc). 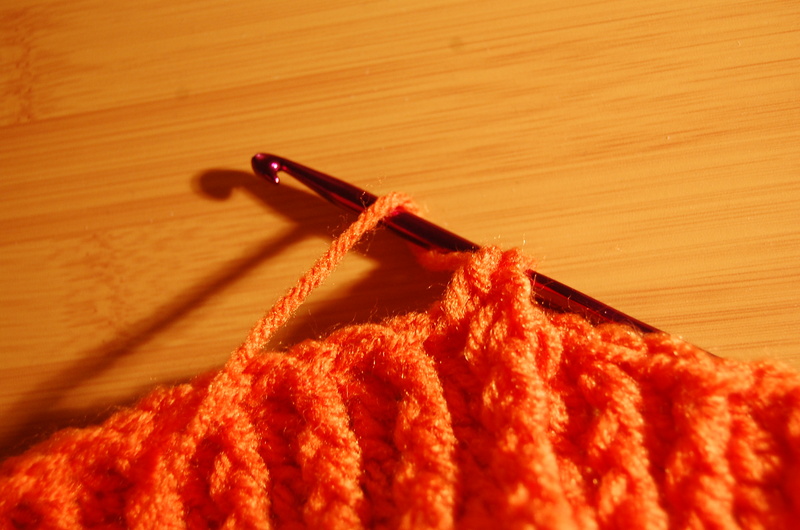 Into same stitch, work [dc, 5 trc, dc, sc]. (Bird head). Sc in each of next 10 sc (around bird belly). Into next stitch, work [sc, ch 1, dc, ch 1, sc] (bird tail). Sc in each of next 3 sc (bird back). Join yellow yarn at base of your bird’s head. Ch 4, sl st back into the stitch where you joined your yarn. With black or white yarn and a big yarn needle, sew a couple stitches onto your bird’s face for an eye. 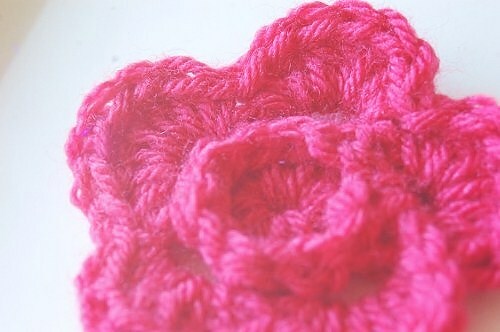 This is today’s second project of my big crochet idea, but it’s certainly a JJCrochet first. 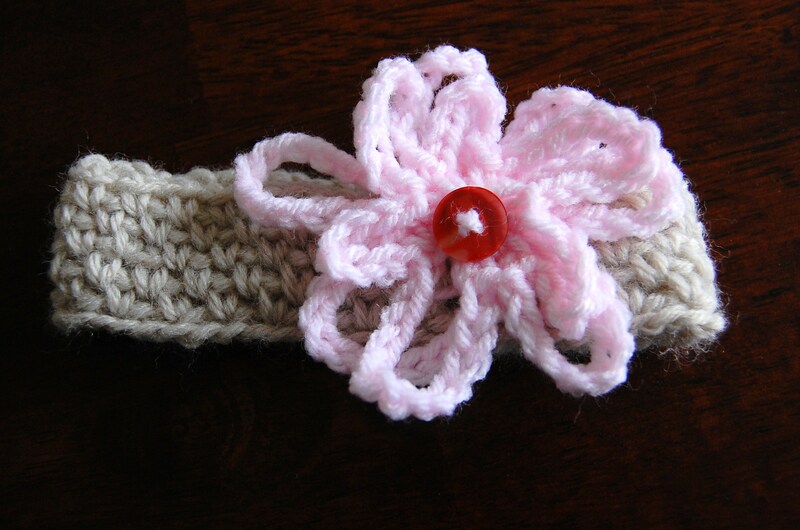 If you follow my blog, you know I tend towards wearable items (most of which are geared towards girls). But what better way to “shed my skin” then with this latest project. 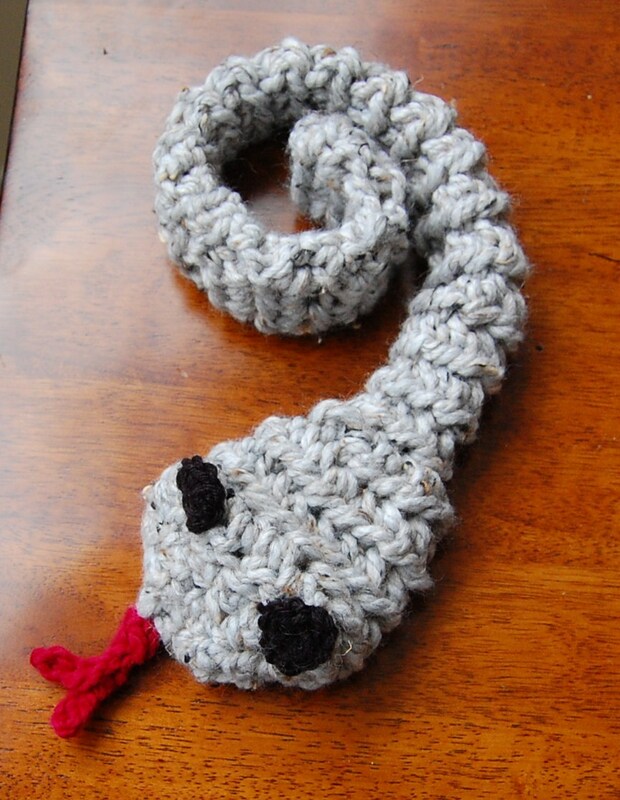 Prompted by Juliana’s post on JJCrochet’s Facebook page, I designed and crocheted a reptile. Yes, you read that correctly, a repitle. A snake, to be exact. It’s kinda cute… right? 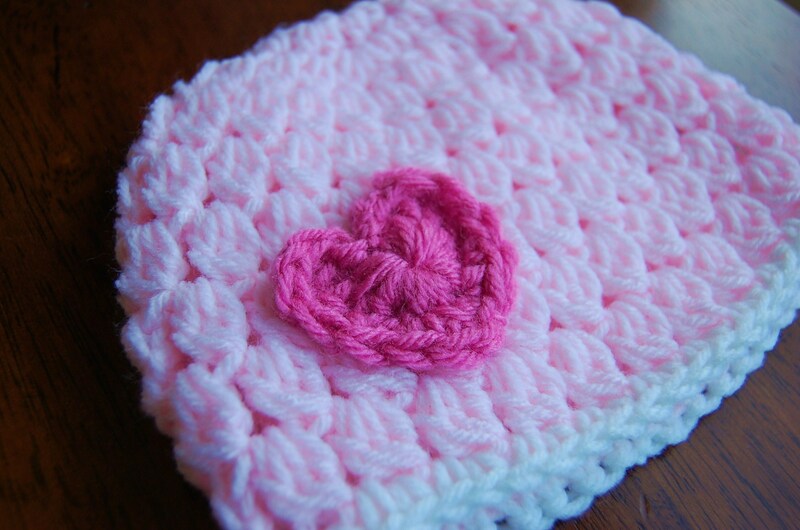 I had some Wool-Ease Thick & Quick here with me and thought this would be a fun crochet project so I began. 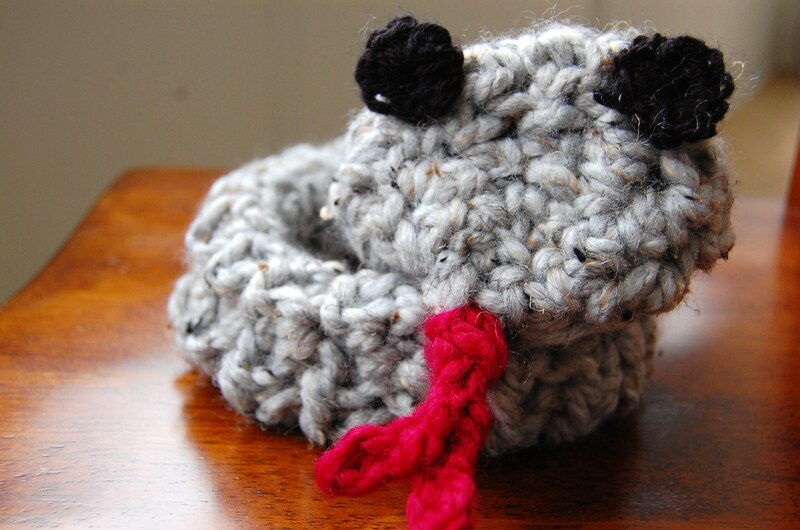 Free pattern below so you can make your very own snake. I hope you enjoy yours, Juliana! Rounds 2 – 25: Ch 2, do not turn. Hdc in the FLO (front loops only) of each st around (8 hdc). 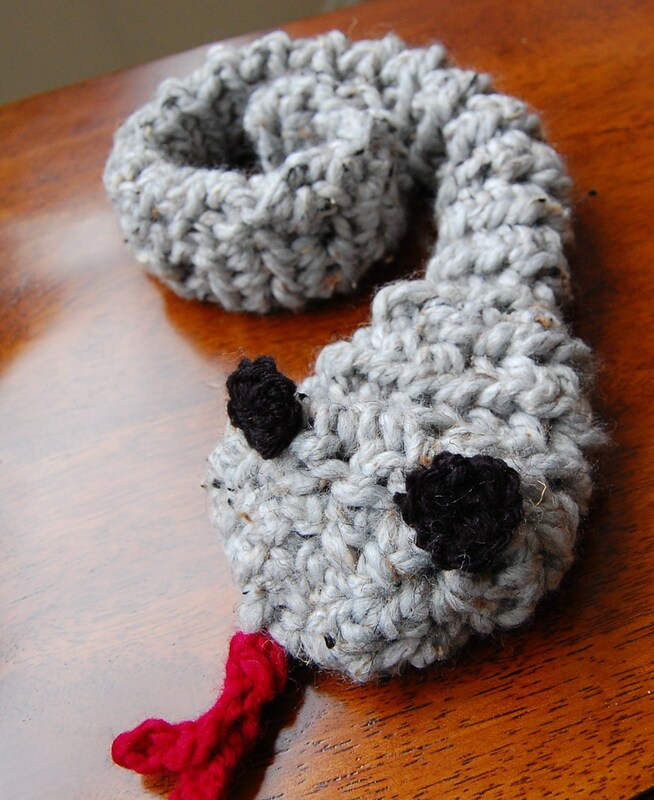 Working in only the front loops of each stitch will give the snake a “textured”, scale-y look. Repeat Round 2 for as long as you want your snake to be. Begin working the snake’s head. Round 26: Ch 2, 2 hdc in each the FLO of each stitch (16 hdc). Rounds 27 – 28: Ch 2, do not turn. Hdc in the FLO (front loops only) of each st around (16 hdc). Round 29: Decrease Round. Ch 2, hdc 2 tog in next two sts and in each st around (8 hdc). Rounds 30 – 31: Ch 1, sc in each st around (8sc). 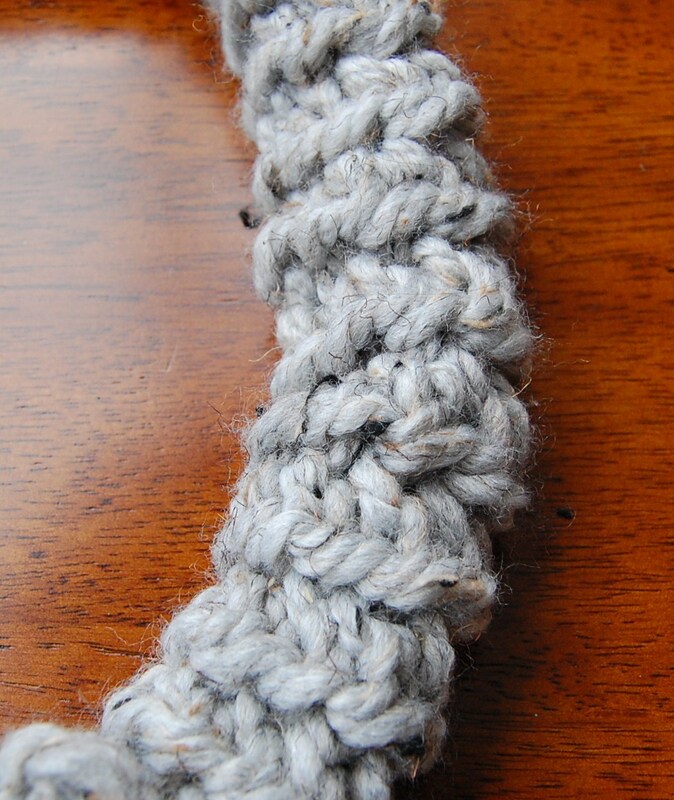 Whip stitch the bottom and top of your snake together. Round 1: ch 1, work 9 more sc into ring (10 sc). 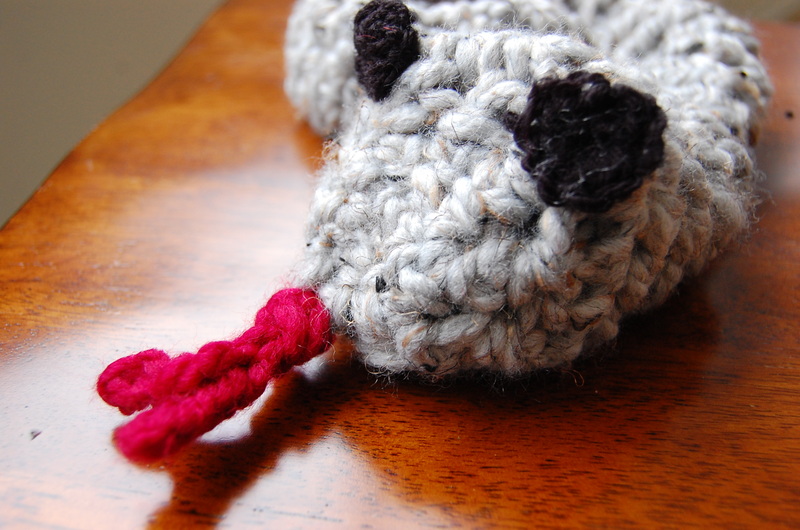 Fasten off, leaving a long tail for sewing onto the snake’s face. Make two eyes. 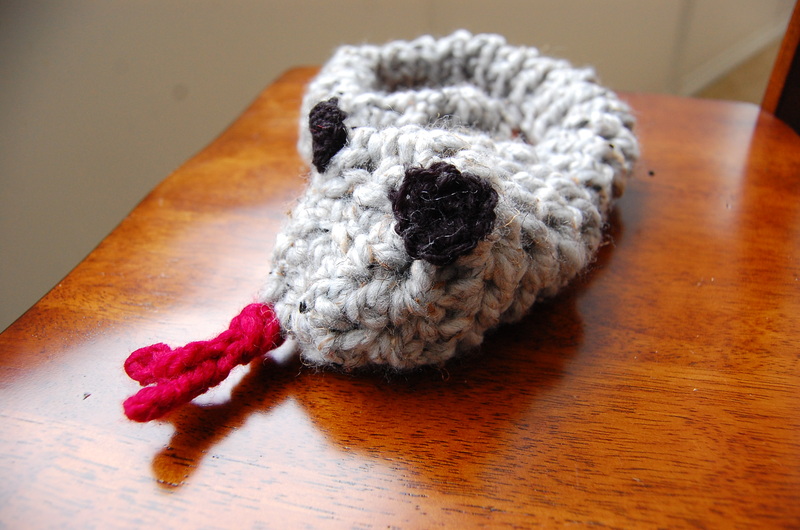 Sew onto the snake’s head. 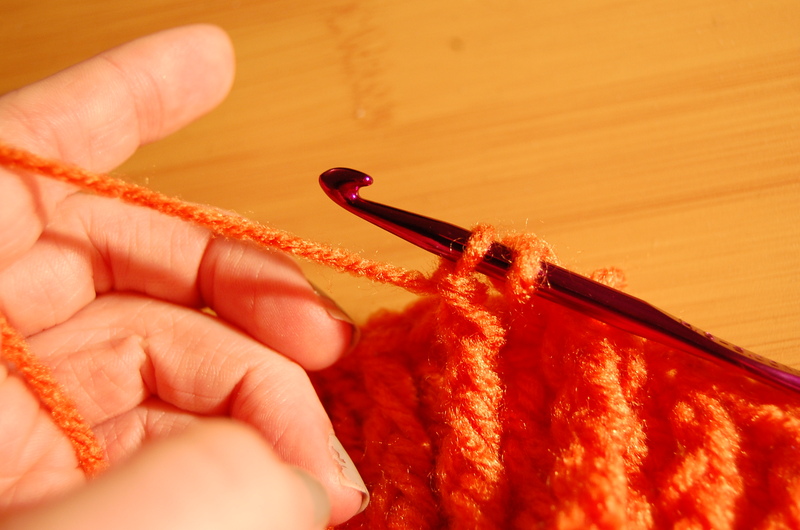 Join yarn at the same point where you fastened off, Chain 4. Fasten off (the other prong of the “Y”). Sew tongue to your snake face. Enjoy? I’m in love. With this new hat, that is. One of the women in my Bible Study is due right around Valentine’s Day. 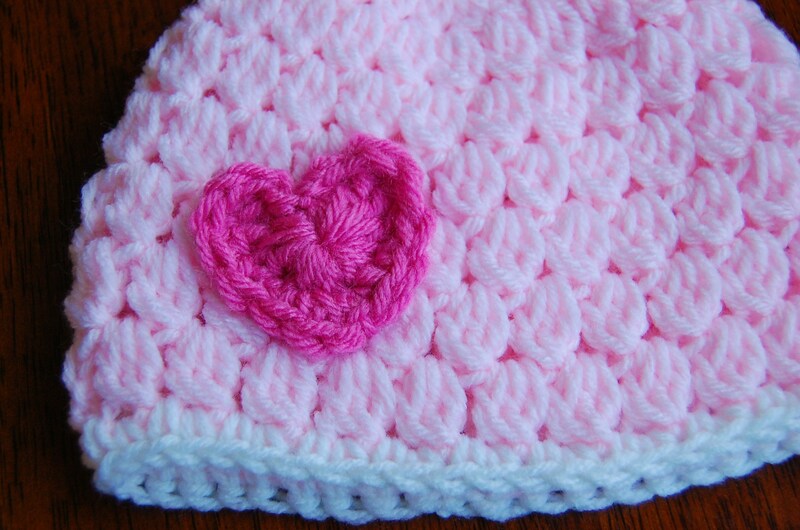 She’s having a baby girl and was the inspiration for my latest crochet project. 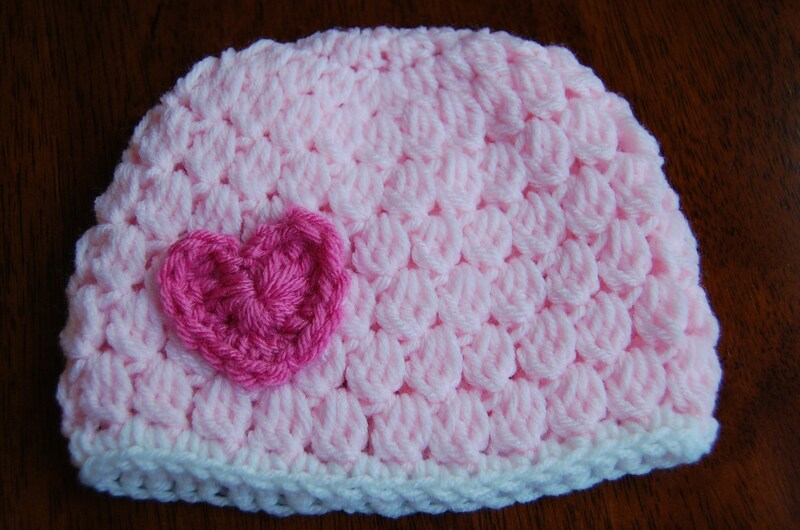 This hat will fit a newborn/ 3 month old baby girl and is right in time for Valentine’s Day. 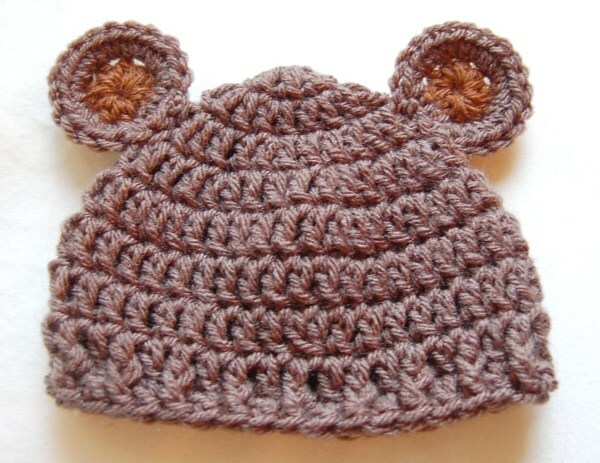 Because it’s so tiny, this hat works up quickly, uses relatively little yarn, and is guaranteed to generate lots of “awwws” when worn. 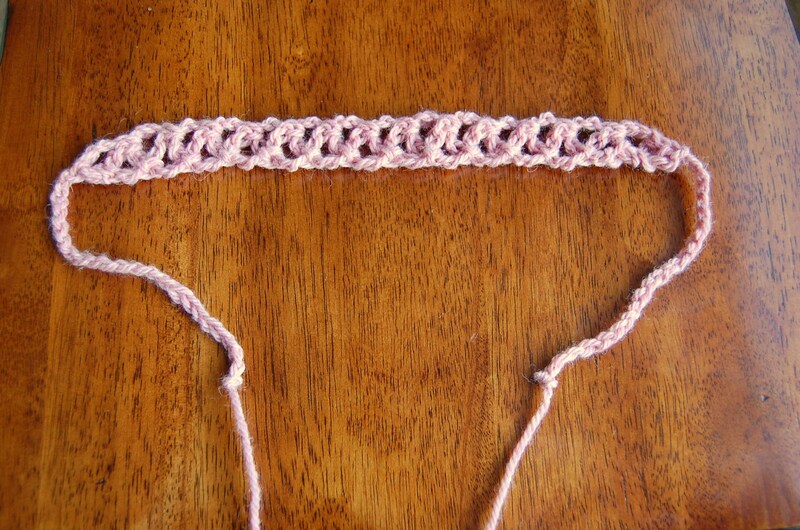 Double crochet 2 tog (dc2tog): Yarn over, insert hook in next stitch, pull up a loop (3 loops on hook). 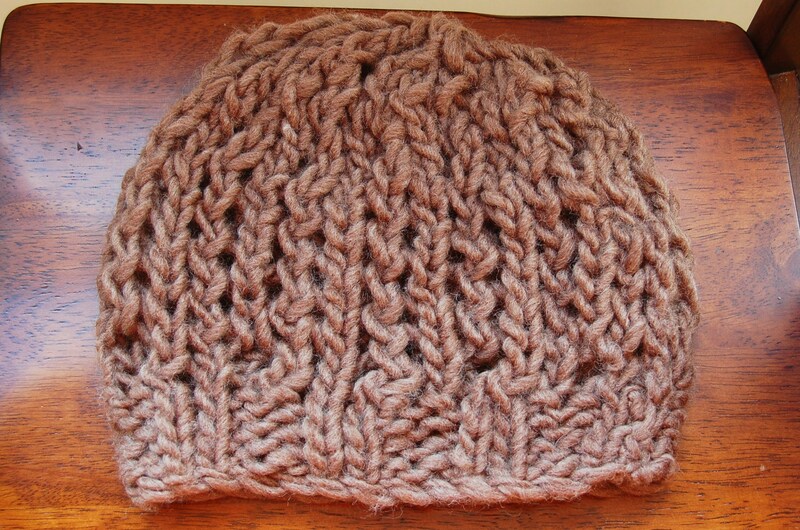 Yarn over, pull through two loops (2 loops on hook). First half of dc made. 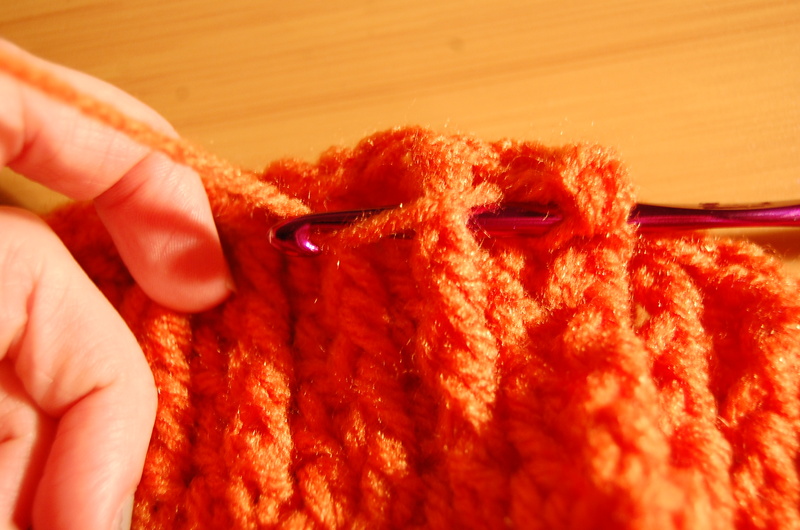 Yo, insert hook in same stitch, pull up a loop. Yarn over, pull through two loops (3 loops on hook). Yarn over, pull through all three loops. 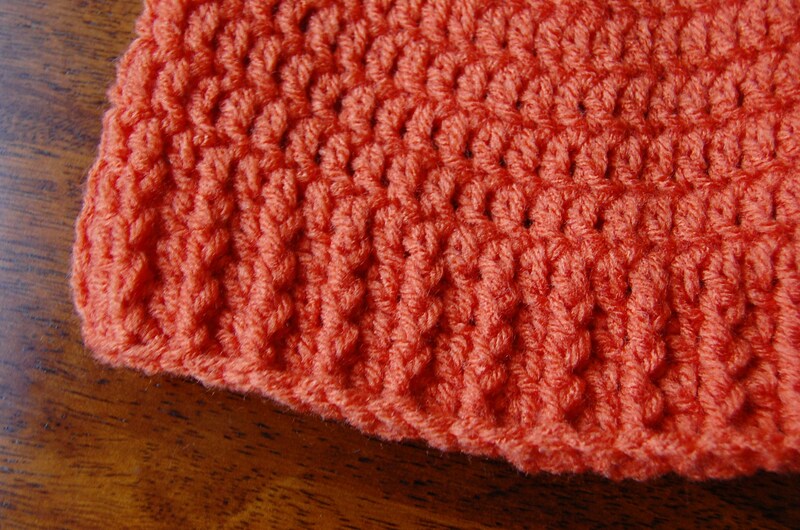 Double crochet 3 tog (dc3tog): Yarn over, insert hook in next stitch, pull up a loop (3 loops on hook). Yarn over, pull through two loops (2 loops on hook). First dc made. 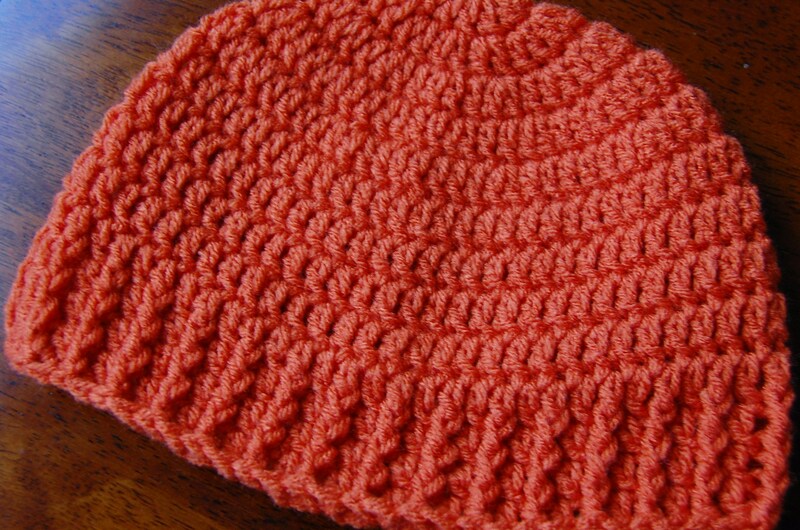 Yo, insert hook in same stitch, pull up a loop. Yarn over, pull through two loops (3 loops on hook). Second dc made. 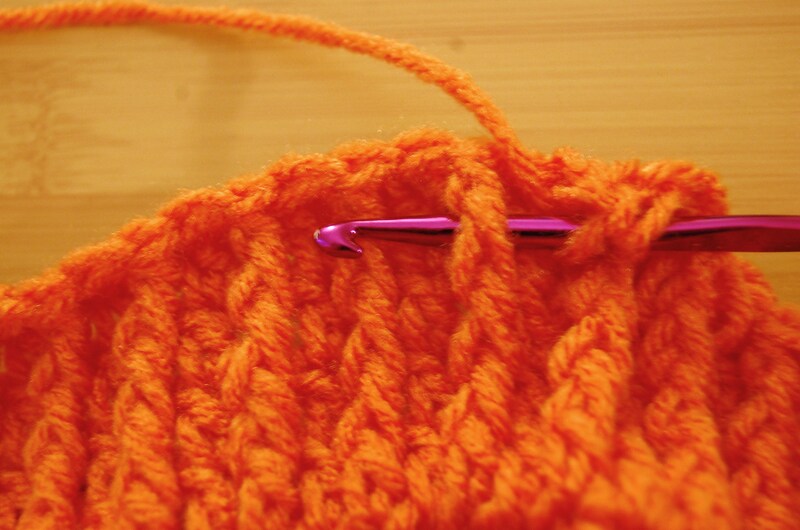 Yo, insert hook in same stitch, pull up a loop. Yarn over, pull through two loops (4 loops on hook). Yarn over, pull through all four loops. 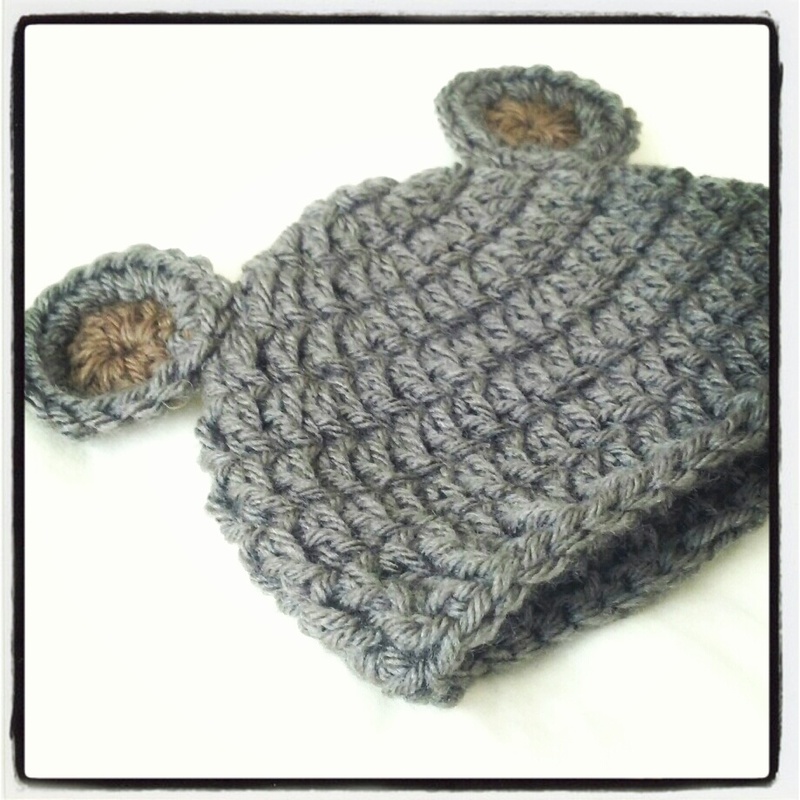 Hat will fit newborn to 3 month old child. Measures approximately 11 inches wide; 5 inches high. Round 1: Ch 2 (counts as first HDC). Work 9 more HDC into ring (10 HDC). Join with sl st to top of ch 2. Round 2: Ch 2, HDC in same stitch. 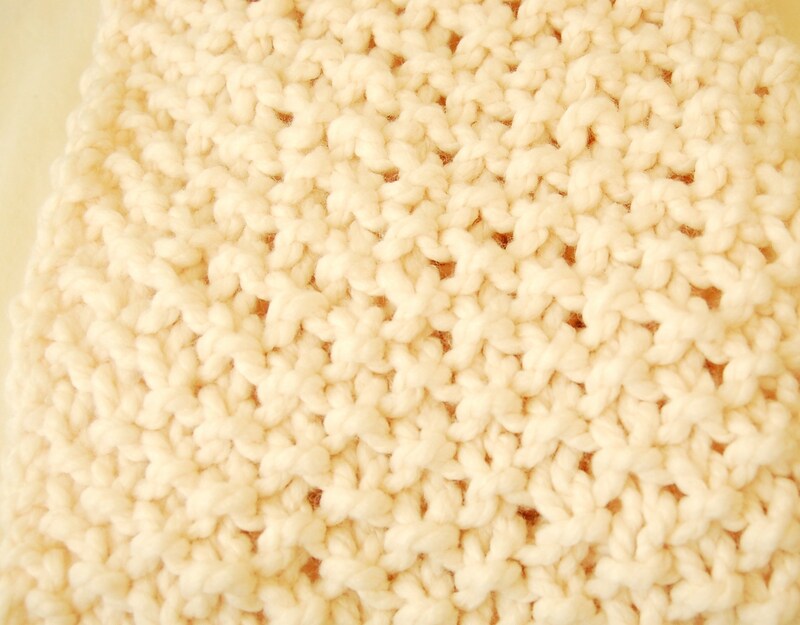 *2 HDC in each stitch* Repeat around (20 HDC). Join with sl st to top of ch 2. Round 3: Ch 2, DC in same stitch (counts as first dc2tog cluster). Work dc2tog cluster across next 3 stitches. *Work two dc2tog clusters in next stitch. Work one dc2tog cluster in each of next 4 stitches,* Repeat around (25 dc2tog clusters). Join with sl st to top of ch 2. Rounds 4 – 9: Ch 2, 2 DC in same stitch (counts as first dc2tog cluster). *Ch 1, work 1 dc3tog cluster in between each cluster stitch from previous round,* Repeat around (25 dc2tog clusters + 25 chains). Join with sl st to top of ch 2. 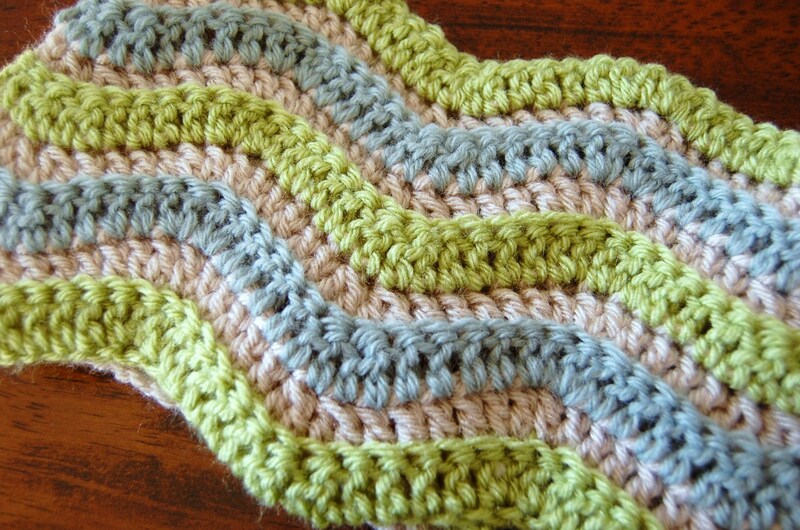 Round 10: (Use different color for edging, if desired): Ch 1, sc in each cluster stitch and ch-1 stitch across (50 sts). Join with sl st to ch 1. Round 1: Starting on left “hump” of heart, Ch 2 (counts as first dc). Work 2 tr, dc, 6 sc. Dc, 2t r, dc, 2 sc into ring. Join with sl st to top of ch-2. Round 2: ch 2 (counts as first hdc). Work 2 hdc, 4 sc across next stitches. 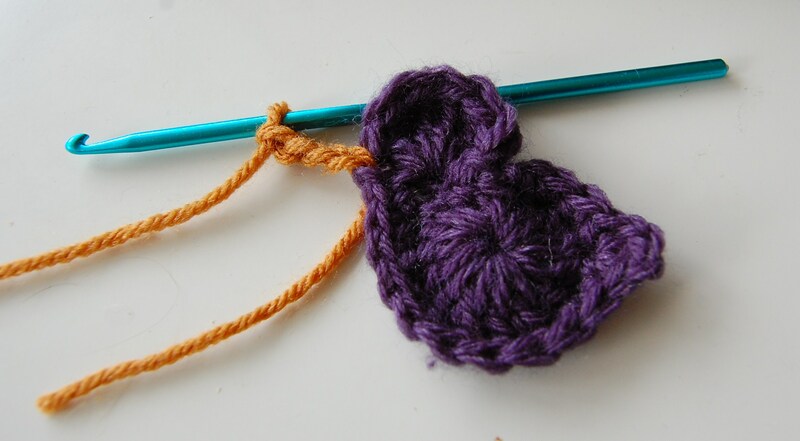 2 sc in next stitch (forms bottom point of heart). 4 sc, 3 hdc, sc. 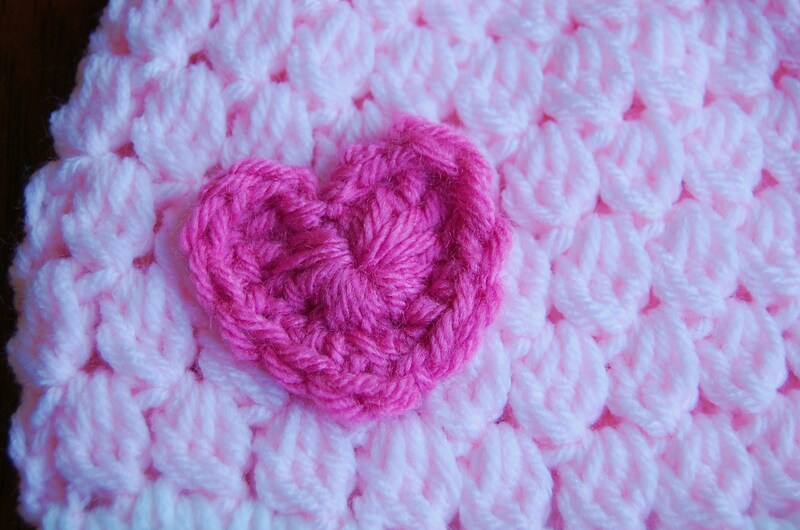 Fasten off by working sl st into top center stitch of heart.